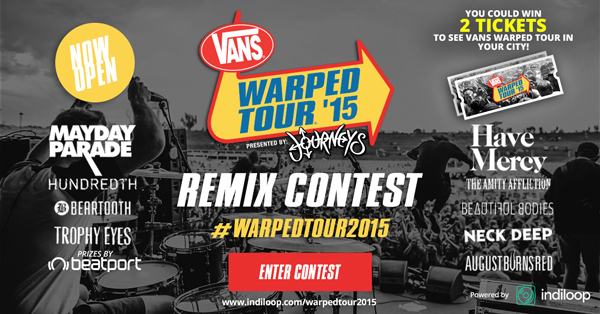 Indiloop’s Vans Warped Tour remix contest is back! Indiloop’s Vans Warped Tour Remix Contest is back and they are giving away pair of free tickets to every tour date in every city. All you have to do is make a mix using one of the featured Warped Tour bands. It is that simple. One Grand Prize winner will receive an iPad Mini, a $50 certificate to Beatport Pro and an autographed merch pack from your fave aritst.